Chief Master Sgt. 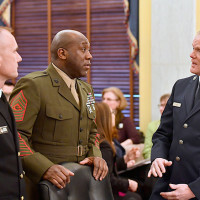 of the Air Force James A. Cody testified on the importance of Airmen and their families before the Senate Armed Services Subcommittee on Personnel Feb. 14 on Capitol Hill. 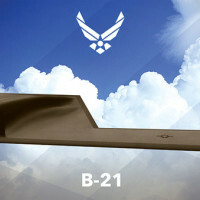 On this look around the Air Force, three B-2 Spirit bombers return to Whiteman Air Force Base, Missouri, after a deployment, Tinker AFB, Oklahoma, has begun construction of a next generation 9-1-1 call center, U. S. Air Force in Europe and Air Forces Africa has a new command chief, and February is American Heart Month. 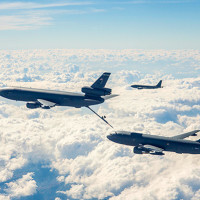 The Air Force has awarded a $2.1 billion contract to Boeing for the third Low Rate Initial Production lot of KC-46A Pegasus tankers. 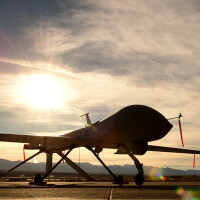 In the 1980s, the Defense Advanced Research Projects Agency added modern day technology to the decades old idea of using remotely piloted aircraft for reconnaissance purposes. 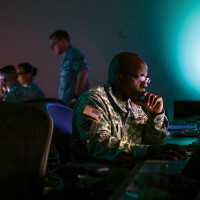 Little did DARPA or the Air Force know how impactful this development would be.